Arun Jaitley also targetted Rahul Gandhi over his recent remarks on the GST, saying he firmly believes that the Congress vice-president has no knowledge of the subject. 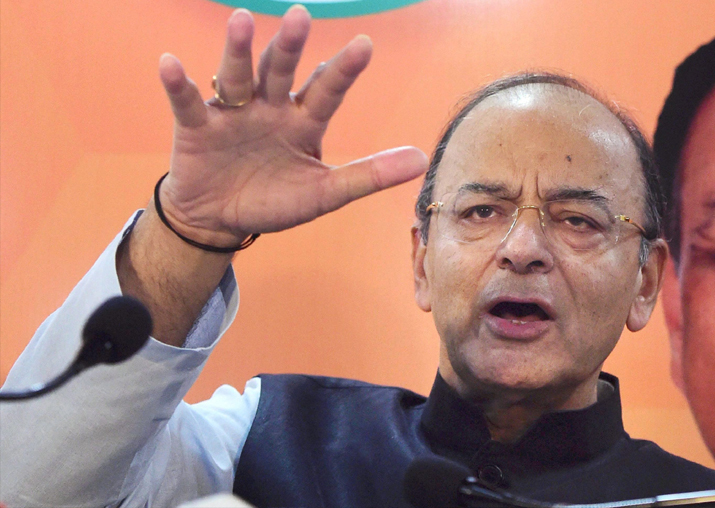 Union Finance Minister Arun Jaitley today accused the Congress of running a "strange campaign" in Gujarat by mocking development and spreading the "poison of casteism". Jaitley also targetted Rahul Gandhi over his recent remarks on the Goods and Services Tax (GST), saying he firmly believes that the Congress vice-president has no knowledge of the subject. "During the last three elections in Gujarat, the Congress tried to target a person (Narendra Modi). They used the entire government machinery during the 2007 and 2012 elections, misused the CBI, used anti-national elements in the form of terrorists," he alleged. "This time I find the situation very strange. This is for the first time ... not only in India but in the entire world ... that a political party is starting its campaign by showing development as something bad. Development fights poverty, it fights backwardness but they are making fun of it," Jaitley said referring to the Congress campaign of "Vikas Gando Thayo Che" (development has gone crazy). "If anything does not work than you spread the poison of casteism to stop developmental politics. All other states of the country where poison of casteism has been spread have lagged way behind in development," he said, denouncing the Congress's attempt to woo caste leaders like Hardik Patel, Jignesh Mevani and Alpesh Thakor. "The game of trying to split the state along caste lines is extremely dangerous," Jaitley, who is the in-charge of Gujarat polls, said. "When development takes place, highways are made, universities are built, electricity is supplied, then all the sections of society are benefited. Development helps all," he said. "In this developing part of India, if you are trying to denigrate development or win elections on the basis of dividing people along caste lines, it is not good for the society and the country," the minister said. He said that since the 2002 elections, the BJP's main agenda in Gujarat had been development and they had not wavered from that path despite many distractions. Asked about Gandhi making fun of GST during his campaign tour in south Gujarat, Jaitley said, "I firmly believe he has no understanding of this subject, he has not studied it. Finance ministers of Congress state governments are present in the GST council and were part of the decision making process. "They have given their approval for every decision taken (in the council). To become opportunistic at the time of elections does not mean that you have the understanding of the subject." "We carried out demonetisation with certain goals, like to increase the tax base, reduce the use of cash and hit terrorism and naxalism networks," he said.